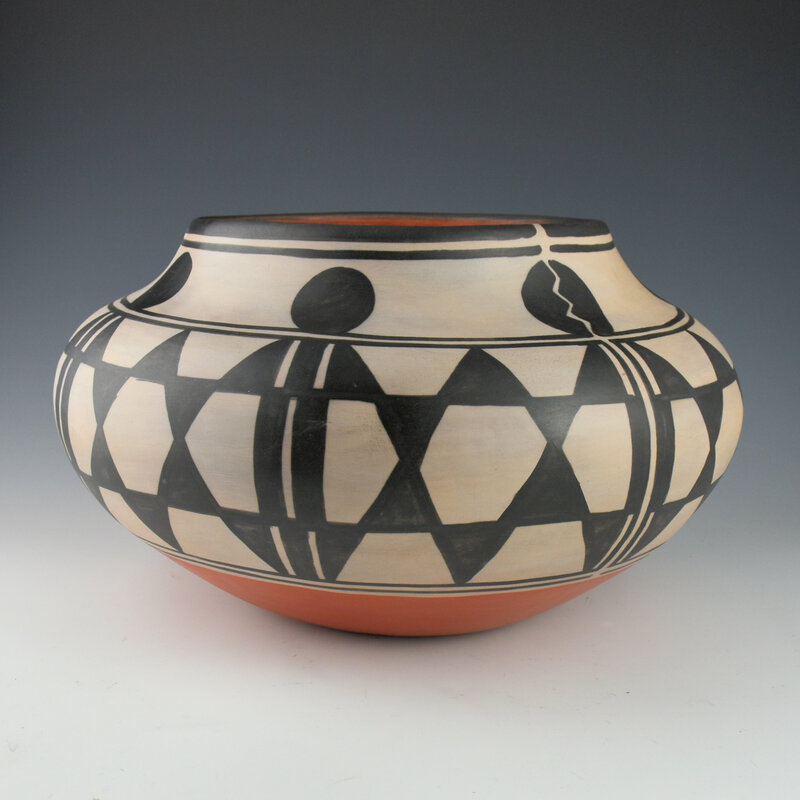 This is a large wide jar by Robert Tenorio. The jar is painted with bee-weed (black) and red and copper colored clay slips. The vessel is a striking shape with a wide, round shoulder, a slight indention at the bottom of the neck, which slopes gently upward. 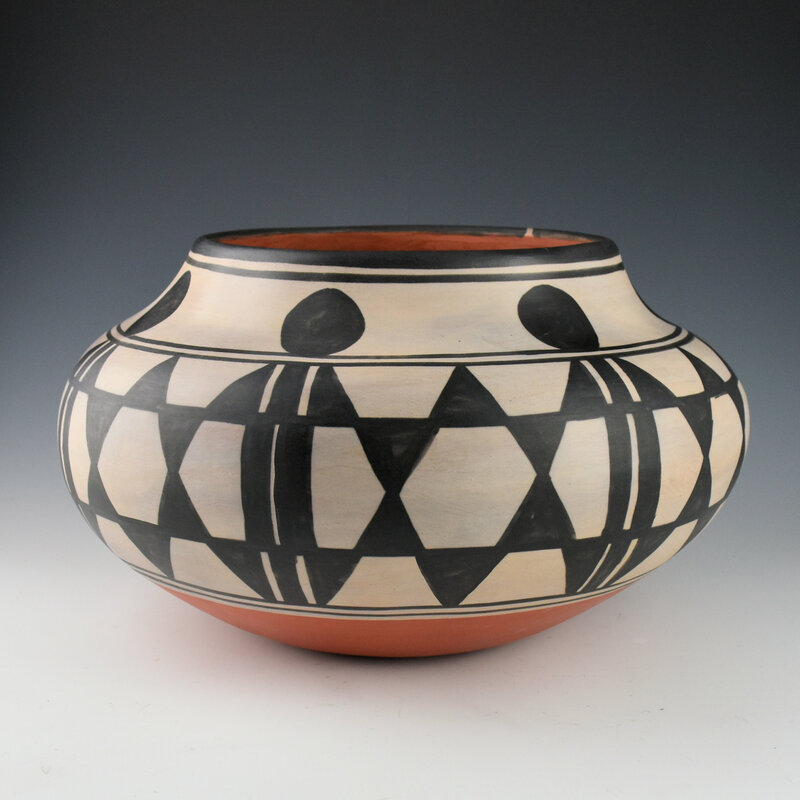 The design on the outside of the jar is a very traditional Kewa (Santa Domingo) pattern with a sun and star motif. However, it is the inside of the jar which is all Robert Tenorio! Robert is known for the “surprise” of the painting inside his large vessels. 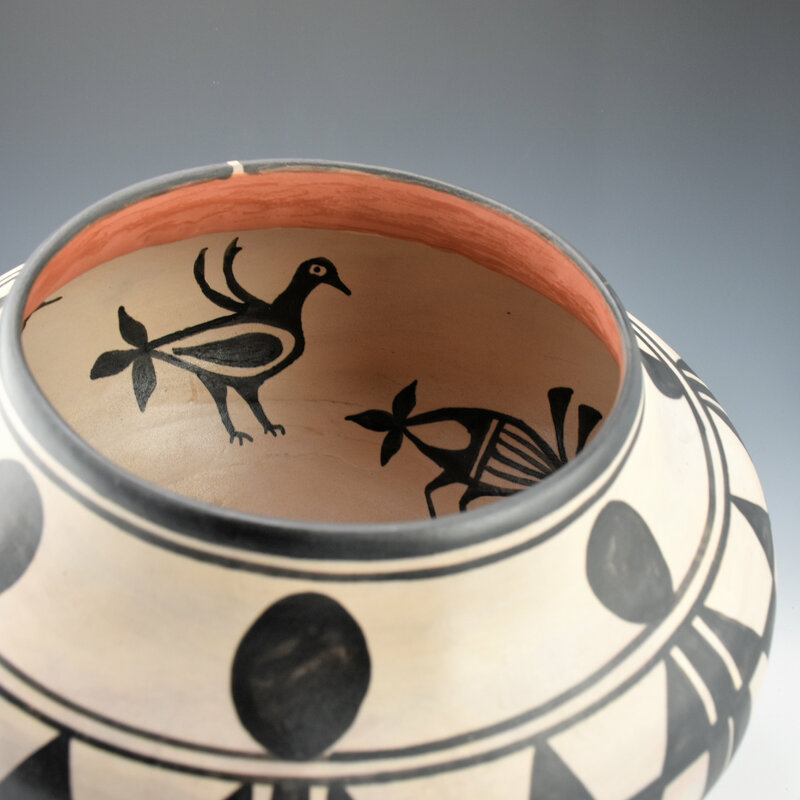 This jar has a handprint in the center, along with 7 birds! Each bird is in the classic Kewa style, and yet each is different. They are painted around the inside of the shoulder as well as the bottom. I took a few photos to show off the various birds, the bird in the center and the subtlety of their appearance in the jar. 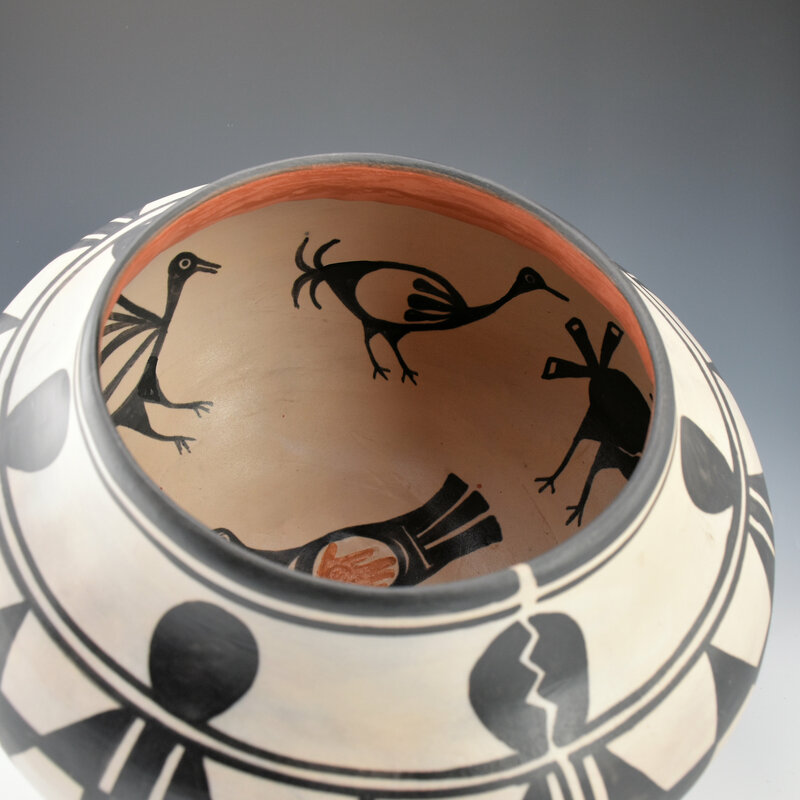 At the rim, the jar has a “spirit line” or a break in the painted pattern, which extends to the base of the bowl. 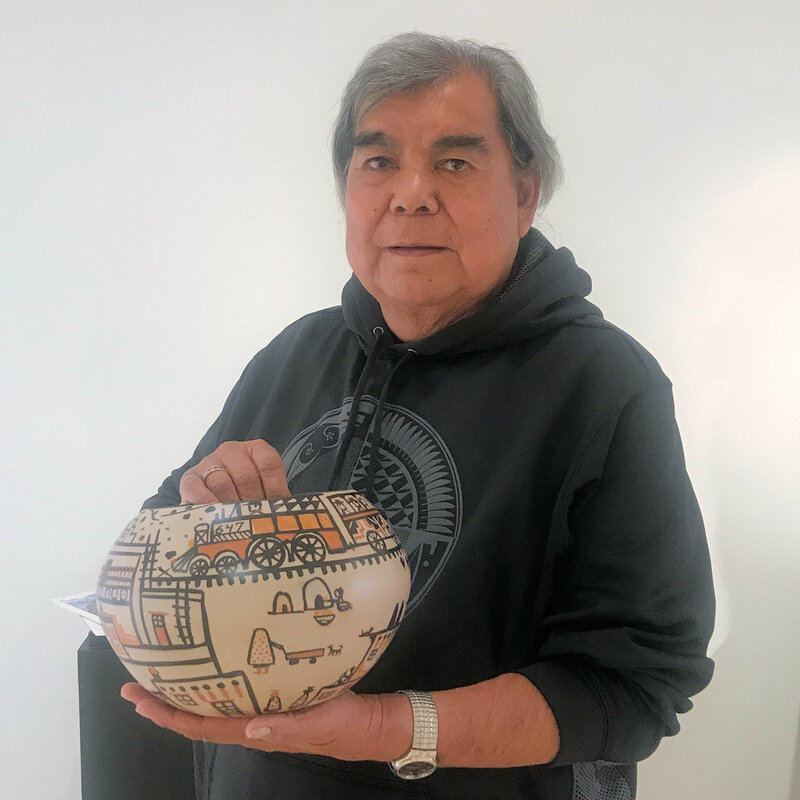 This goes back to historic Kewa pottery when the artist would use the spirit line to release their spirit or connection from the vessel. 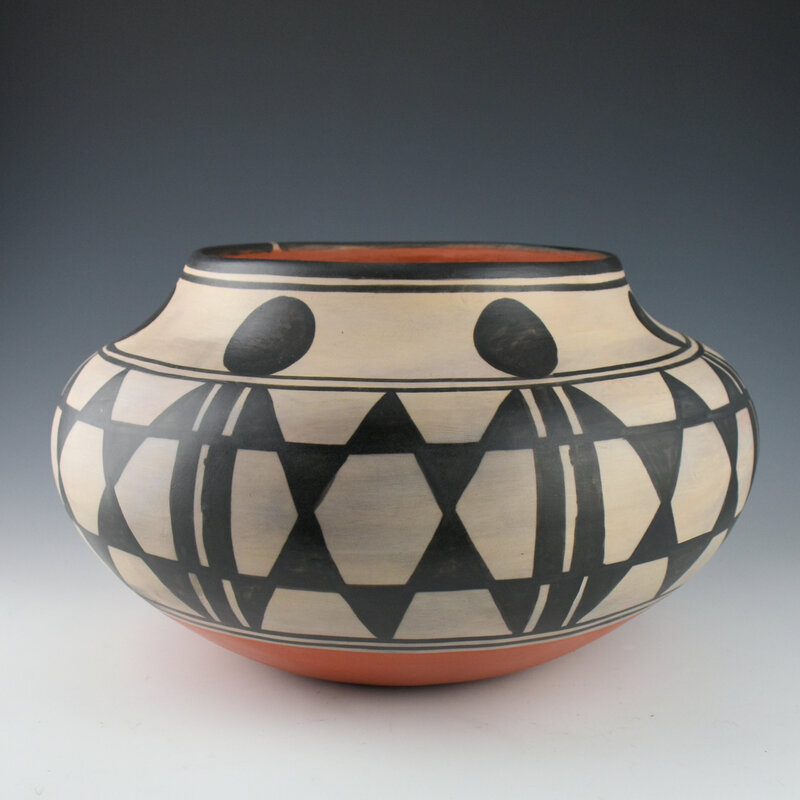 The jar was traditionally fired and coloration is striking with an even tonality to the creame color and a deep black to the bee-weed. 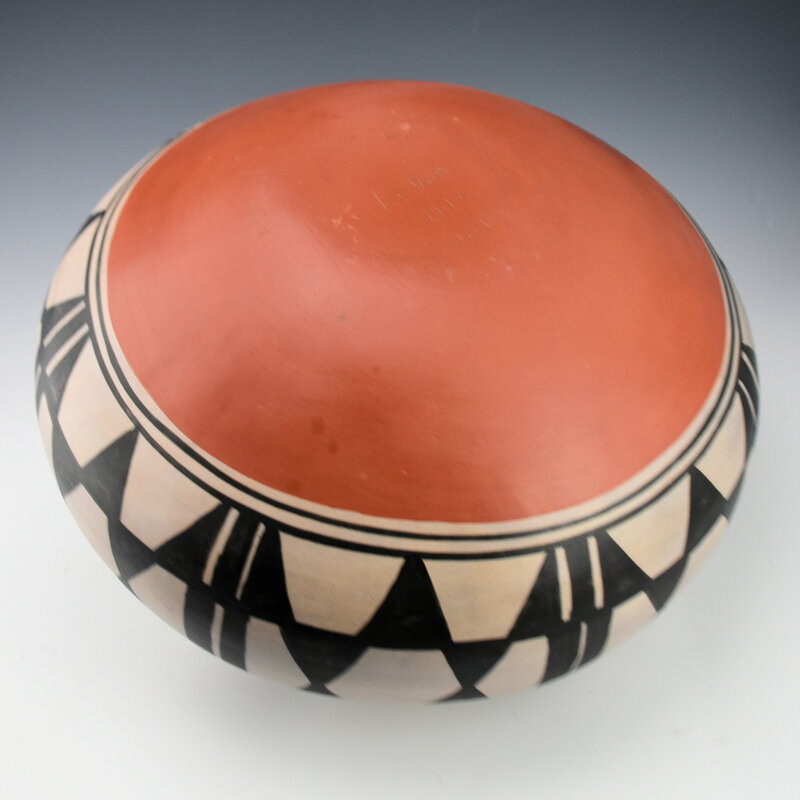 The jar is signed on the bottom in the clay, “Robert Tenorio, Kewa”. Note the big dipper pattern, which Robert also etches into the designs of all his pottery as part of his signature. 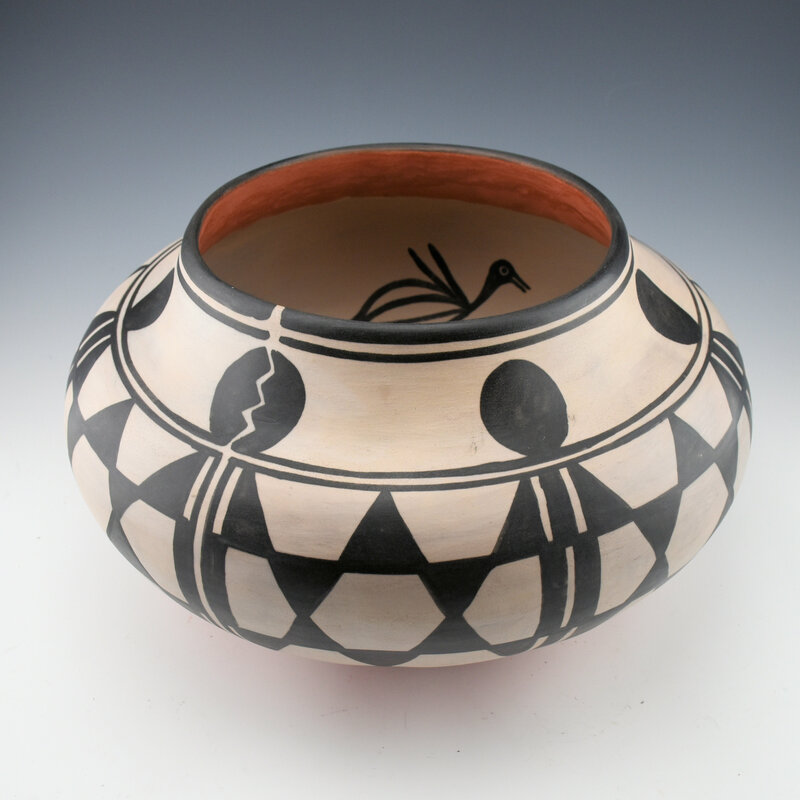 Robert has won “Best of Show” at events such as Santa Fe Indian Market and remains one of the great names in Pueblo pottery.